For decades, business decisions regarding talent acquistion, workforce development and employee retention were based only on experience and intuition. Today’s “age of data” provides new opportunities for HR managers to unlock the power of data and decide based on fact. People analytics is transforming the role of HR in terms of efficiency and value-add. 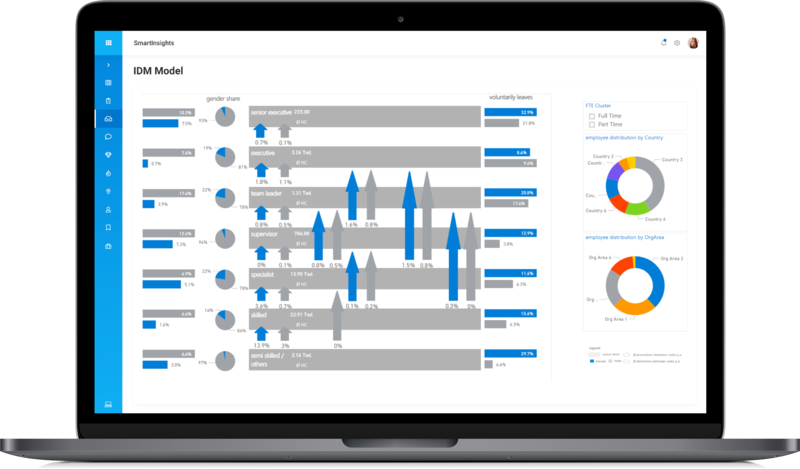 #smartInsights provides you with self-service people analytics dashboards for faster and better decision-making. Our global data pool provides crucial data insights making the decision process on company locations transparent, fact-based and reliable. We analyse millions of job postings, patent data, statistics and other sources to help you define the necessary job profiles and skills of tomorrow. We identify the root causes of attrition by utilising big data and advanced analytics, thus enabling us to develop the prevention measures. Within your data landscape, high value insights are hidden. We shape your HR data strategy to make your data a competitive advantage. By analyzing millions of macro-economic data sources we answer your labor-market-related questions. We use your data to create predictive models for risk prevention. A major demographic shift transforms companies. Acting in time will not only minimize the risks but will also allow you to gain an important advantage over your competitors. Three steps to better business outcomes. Data quality? Data silos? Unstructured data? 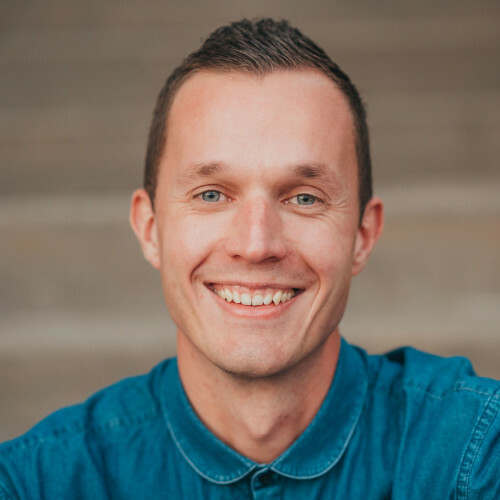 People analytics needs a soild basis – good data. Big Data technologies give you fast access to all your internal data and connects it with outside insights derived from multiple macro-economic sources. Machine-learning algorithms ensure that data quality is improved and that even unstructured data-sources like Excel files, pdf documents, etc. can be a part of your knowledge base. What can you do? Simply get started. HR data strategy, recruiting optimization, individual learning journeys, attrition root-cause analysis… There are millions of people analytics cases. 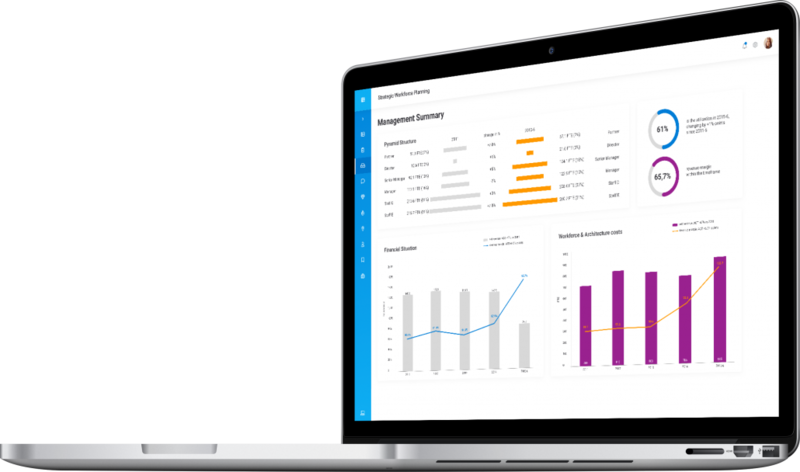 Applying people analytics means rethinking all of your existing processes to make HR more efficient and a trusted value-driver of the business. Every data has its story. What is yours? 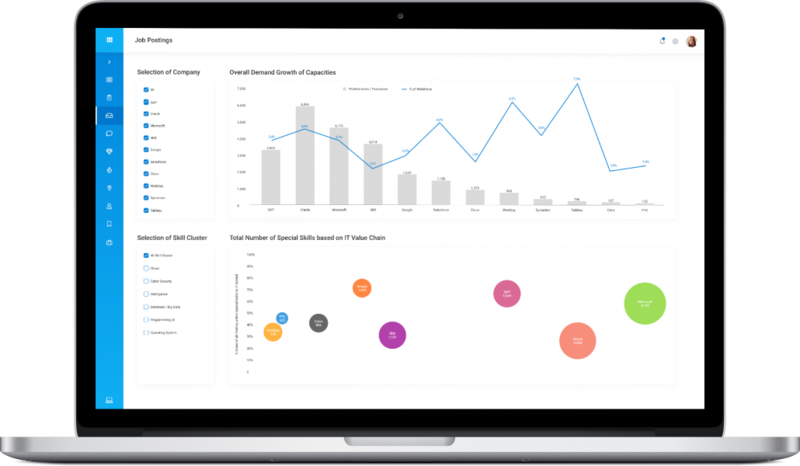 Visualization technologies support you to discover insights, derive measures and communicate them across your business. The data party is on! Do you want to be at the heart of it? 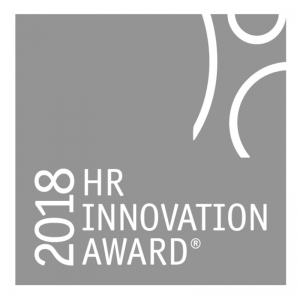 HR Innovation Award 2018 – category ‘hardware & software’. Learn more about our renowned and award-winning analytics technology. 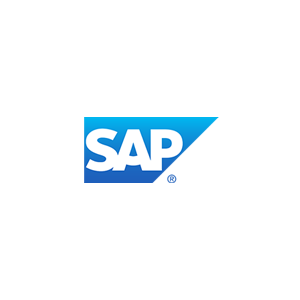 Read how SAP SE utilizes external data to enrich the ‘digital boardroom’. Discover how Continental utilizes data analytics to drive digital transformation.